The Top 1% saw their incomes nearly triple in recent decades, while middle class and lower-income Americans saw theirs creep up by only 18%, according to new government data. The outsized earnings those at the top accrued caused the income inequality gap to widen even further, according to the Congressional Budget Office, which looked at Americans' incomes and tax burdens between 1979 and 2013. The federal tax system helped reduce the gap, but not as much as government transfers -- including cash assistance, food stamps, Social Security, Medicare and unemployment insurance -- did. The CBO also looked at average federal tax rates of the different groups. 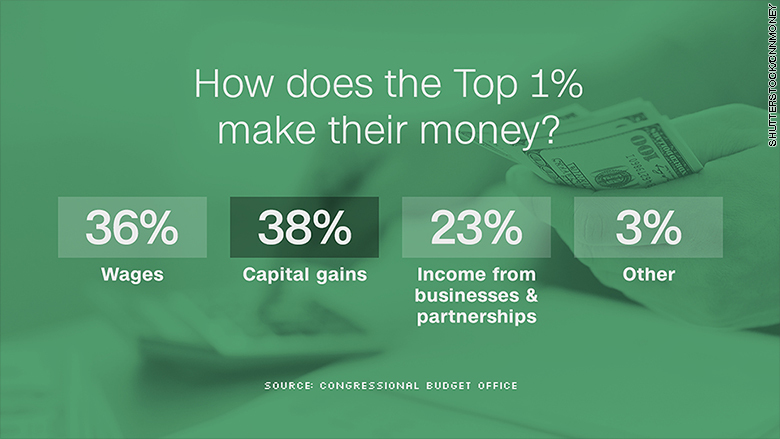 The average federal tax rate of the Top 1% was 34% in 2013. Those in the middle class, or the middle 60% of Americans by income, had an average federal tax rate of 13.8%. 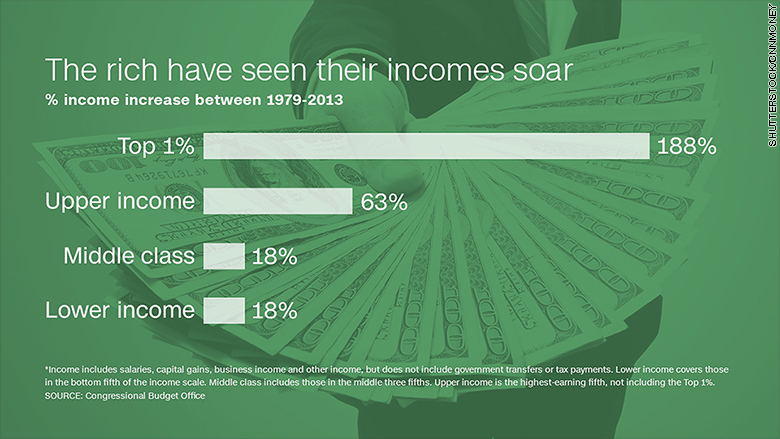 The wealthy pay a larger share of the nation's taxes. Those in the top 20% of the income scale earned a little more than half of total before-tax income, but paid more than two-thirds of all federal taxes, the CBO found. 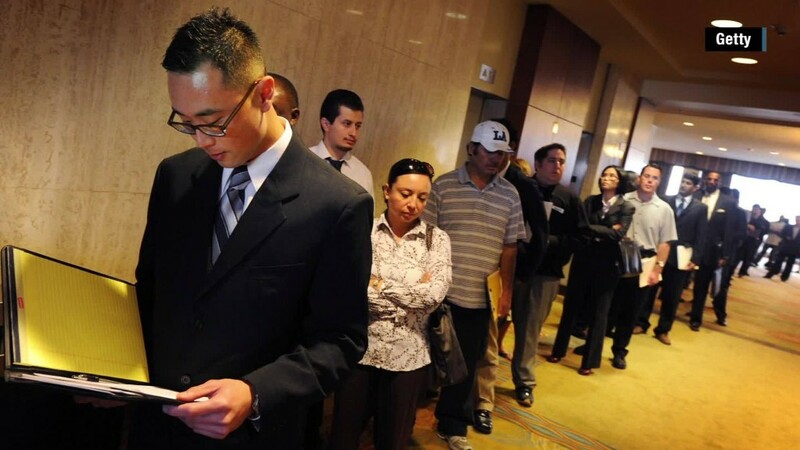 Taxpayers in the middle quintile took home about 14% of the income and paid about 9% percent of the taxes. And the poorest 20% received about 5% of the income and paid less than 1% of the taxes. The 2013 tax deal -- which eliminated some of President George W. Bush's tax cuts -- made the federal tax system the most progressive it's been since the mid-1990s.